Welcome to this edition of the e-Book Cover Design Awards. This edition is for submissions during May, 2012. JF: What you did right was hire Jeroen ten Berge. This terrific cover has atmosphere, drama, and instant appeal. The designer tells a story with graphics and the many thoughtful and effective design details. Great stuff. Damonza submitted Going the Half Hog designed by Damonza. JF: Amusing and it tickles both the mind and our visual sense. Controlling both the palette of colors and the way you use typography results in winners like this one, where a clever concept for a book meets a design that matches it perfectly. Dean Wesley Smith WMG Publishing submitted A Dangerous Road: A Smokey Dalton novel designed by Dean Wesley Smith. JF: A better than average effot despite the typo on the cover, 6 separate text elements and some gratuitous type effects, it gets the job done. JF: Apparently so darkened that it’s hard to decipher. JF: Looks like she has a bright future. JF: And she’s done a nice job with the typography. I know these covers are common in romance, but they often look to me like two different covers on the same book. Damonza submitted ARSON designed by Damonza. JF: Nice use of distressed type on an atmospheric cover. It works. JF: Well, despite the symbolism, this mashup doesn’t really work for me, and the title typography needs a complete overhaul. Fayth Devlin submitted Blood Lust Rising designed by Baron Mrkva. Ian Thomas Healy submitted Blood on the Ice designed by Ian Thomas Healy. JF: But you did it carefully, and the use of type is good. Polly Bernson submitted Caravan to Armageddon designed by Molly Williams. JF: I wish Renee had credited the designer of this elegant and effective cover that blends illustration and typography. Will you leave us a comment, Renee? Thanks. Meradeth Houston submitted Colors Like Memories designed by Charlie Volnek. JF: Okay, we see this every month, the dark red and black problem. This looks like it might have been a good ebook cover, but it’s so murky that it’s even hard to read. Could be fixed with a bit of tweaking. Victoria Rollison submitted Conspire designed by Victoria Rollison. JF: Beautifully done, very clean, almost icy. And notice the custom typography that also helps to set this cover apart. Allyson Longueira submitted Coolhunting designed by Allyson Longueira. JF: I’d love to see these books by a very popular author with really imaginative covers rather than the kind of assemblage you see here, because this genre produces some great ones. JF: It certainly works, and the subdued background really helps the woman’s face stand out. Nicely done. JF: When these genre novels are sold as mass market paperbacks you wouldn’t see a cover like this too often, because the title or author’s name—whichever is the bigger draw—needs to be visible in the book racks at the top of the cover. For an ebook, this cover uses its sparse, dystopian looking layout to good effect. Bridget McKenna submitted Evenings, Mornings, Afternoons designed by Bridget McKenna. JF: I like how clear this cover is, it really communicates. Wendy Tokunaga submitted Falling Uphill designed by Andrew Brown. Ellen Herbert submitted FALLING WOMEN and Other Stories designed by Hollowtree Workshops. Damonza submitted FLAT-OUT LOVE designed by Damonza. JF: Interesting use of visual irony and a cover that owes a lot to web graphics. Allyson Longueira submitted Forest for the Trees designed by Allyson Longueira. JF: Also reminiscent of Saul Bellow designs from the 1960s, Matt Hinrichs pulls off another study in interesting ways to approach the ebook cover. James Conder submitted GS Lyman, Accidental Master of the Unknown: Monday designed by James Conder. JF: There’s a big price to pay, in my opinion, for using this highly ornamented typeface. The price is readability. It can be done, but not this way. JF: Some of the strongest ebook covers, as a series, that I’ve seen from entrants. These are beautifully matched without being clones, and the overall effect is beautiful. Jim Moorman submitted Jamaican Flowers designed by Alan Gallo. Kerry Dunn submitted Joe Peace designed by Hollowtree Workshops. Suzanne Ferrell submitted KIDNAPPED, A Romantic Suspense Novel designed by Lyndsey Lewellen. Geoffrey B. submitted Lame Excuses designed by James Junior. JF: I like the type that alludes to a diner era and matches the photo quite well, and the restraint that makes this cover work. Simon Townley submitted Lost In Thought designed by Simon Townley. JF: Really nice piece of design with a cover that unifies color, images and typography. I’d like to see the title with a bit more contrast, but it’s hard to find fault with it. JF: Nicely done, although it comes off as a bit dark for a humorous book. Isabella Amaris submitted Mesmer, Book #1: Sanctuary (A Three Towers Fantasy) designed by Isabella Amaris. Barbara J Webb submitted Midnight in St. Petersburg designed by Reese Dante. JF: A really skillfully-handled composite cover. Beautiful. Rachel Howzell submitted No One Knows You’re here designed by David Hall. Tiffany Snow submitted No Turning Back designed by Tiffany Snow. JF: Nice job, the image is striking. JF: Love it. Striking and original, it really communicates. JF: I wish they would credit whoever did this design, don’t you? Despite the expert typography, it looks like it wants more contrast between the title and the background, but very sophisticated nevertheless. JF: You see it? The dark red type on the black background? carol phillips submitted Prince Of Bryanae designed by carol phillips. 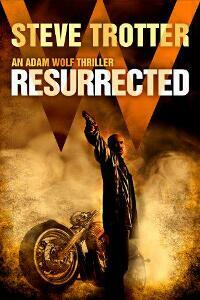 Steve Trotter submitted RESURRECTED: An Adam Wolf Thriller designed by Jeroen ten Berge. JF: A real winner and the branding is both monumental and used effectively as part of the design. JF: Jan, your covers benefit from your photo picking and keeping them simple. If you study typography a bit, they will get even better. JF: Beautiful job, Lev. There’s something about the name “Rosedale” that matches this artwork perfectly. JF: Very effective genre cover. Michele Drier submitted SNAP: New Talent designed by Jennie Rosenberg. JF: Clean and strong, and a type effect that actually works. Dave Cornford submitted Spillage designed by Dave Cornford. JF: Great example of DIY cover design for this quirky short piece. JF: Great job Kaz, the imagery is lovely. Stronger typography would make this even better. JF: Nice job, Holly, I love the way this came together and would like to see where the series goes from here. Lois Karlin submitted The Book of Maggie Bradstreet designed by Gini Hamilton. JF: Great image, wonder if the type isn’t a bit small. Seth Rosenzweig submitted The Devil Speaks Hungarian designed by Seth Rosenzweig. JF: Well, it does make us stop and look, doesn’t it? The ebook is quite normal inside, you don’t have to lean sideways to read it. JF: Love the simplicity of this design, should make for great branding. Marsha Canham submitted The Following Sea designed by Marsha Canham. JF: Nice job, very atmospheric. JF: Beautiful cover from Andrew Brown that merges the familiar image of the Titanic with sensitive typography and art that establishes the tone of the book. JF: Yep, works for me! JF: Looks like it’s packaged just right for its intended market. Mariah Walker submitted The Most Ferocious Dinosaur designed by Mariah Walker. JF: You can’t lose with simplicity when it’s this charming. JF: Imagine how effective this would be with the title in a light color. Kelly McClymer submitted The Twelfth Night Bride designed by Kelly Pernell. Jodi McIsaac submitted Through the Door designed by Justin Sherwin of Firestain. JF: Beautiful image, but a risky decision to make the reader rely almost completely on the image. J.C.R.A Alpay submitted Trinity: The Divine Wheel designed by J.C.R.A Alpay. Allyson Longueira submitted Turbulence designed by Allyson Longueira. Leslie Hall Pinder submitted Under the House designed by Wendy Brown. Carol Rich submitted Untethered designed by Another Jones Graphics. JF: Correct me if I’m wrong, but that doesn’t really look like a person, does it? JF: I think it’s really challenging to combine images, especially on the small covers of ebooks, but this one is quite attractive, partly due to the strong typography. JF: Nice, got a big smile here. JF: Fine to have two, but I really prefer this one, which just needs some stronger title type to really stand out. JF: The colors alone make this magnetic, and shows how a designer can imply lots of things with apparently simple decisions. Ron Brown submitted Anticipate. The Architecture of Small Team Innovation and Product Success designed by Viltor Gmyria. JF: Great to see designer Derek Murphy bring some of his finesse to nonfiction titles. Dina Porell submitted Egyptian Street Culture That No One Will Tell You About designed by Ian Porell. JF: I have no idea what the book is about, but I love the title. Amy Van Court submitted Escaping Career Prison: Three Keys to Breaking Free and Finding Work You Love designed by Adina Cucicov. JF: A clean design that’s a bit odd since there’s an incongruence between the symbol of imprisonment—the barbed wire—with the bird as a symbol of freedom which would have … flown over the barbed wire, right? Renee Benzaim submitted How to Make Compost designed by Renee Benzaim. Allyson Longueira submitted How to Negotiate Anything: A Freelancer’s Survival Guide Short Book designed by Allyson Longueira. JF: Simple and effective, and note how the designer has used the same author branding as on her fiction covers. JF: It’s much more legible, and the cover still promises a fun approach to the subject. Damonza submitted The Book of F*cking Hilarious Internet Memes designed by Damonza. JF: Another really strong cover from Damonza, who is setting a high bar in both fiction and nonfiction. Ou Tao submitted The Leftlovers designed by Pere Ibañez. JF: Another haunting and unique cover from a previous award winner. I’m a prospective book cover designer who’s looking to get his foot in the door. Any advice on where I can advertise my services? Thanks in advance for any input on this! I vote for ARSON designed by Damonza. You seem to have a good design sense, Holly, so do submit the next cover in your series when you get to that point. Hi Joel! I am an art director turned cover designer and I am SO excited I found this ebook cover design awards contest. I love that you are reviewing ebook covers and sharing comments/suggestions/recommendations on how to make them better. I see so many out there that I want to help fix. The typography just kills me. Anyway, I didn’t want to bother you, but I just wanted to see if my submission for Giving The Bird came through. I didn’t get a confirmation and wasn’t sure it sent. Please confirm when you can. If not, I will resend. Really anxious to hear your comments on my covers. I plan to send them until I run out. You should hear from us about your submission. I’m thinking of changing contact forms so we can vet the submissions and assure submitters that everything is good to go, but we don’t have that yet. I’ll look forward to seeing your covers! Thank you for the nice comment on my cover, Joel! 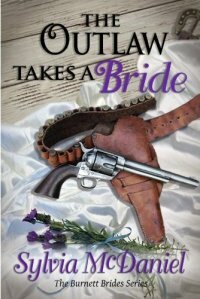 Hi Joel, I’m honored to have my book among the many entrees for the May cover awards. I think my favorite cover is Bridget McKenna’s Evenings, Mornings, Afternoons. A comment on the covers with red on black: my husband who is colorblind cannot see red lettering on a black background. Any signs, billboards, ads, book covers, etc., with red lettering or images on black are lost to him. Judging things is hard (which is why I try not to when I can). I think Lame Excuses would have been my pick. Half Hog didn’t work for me, but I can see why it worked for you (it is a good representation of not over hyping something). When I look at the NF that did it for me (Marrying a Widower), though, I see I loved the same basic simplicity. Such a subjective matter, I’m glad I just get to admire everyone’s work and note my own reaction to everything (still not sure how I feel about Geek ‘n Dork…except there’s something very Escher about it). Thank you for doing this. Cover artists don’t get enough cred in the real world. This is becoming quite a popular feature! After reviewing a few month’s worth of submissions and comments, I spent a few hours yesterday revising one of my ebook covers. For the sixth time! I haven’t released it yet, so I will continue making improvements if I consider it necessary. The cover for “Going the Half Hog” is awesome. Simple, easy to read and provides a memorable image. Thank you for posting. I know it’s time-consuming. Your efforts are appreciated. Vivian, I hope you’ll enter your cover when it’s up for sale, I’d love to see it. As a first-time entrant it’s interesting to see my cover up against everyone else’s. Thanks for the comment. I’ve passed it to Matt — he’ll be pleased to know that the brand works! My personal favourite is ‘We Are Elephants’, for both the cover design and the title! You’ve got a really great selection up this month. What I enjoy most about these posts is the ability to see what works and what doesn’t in cover design from someone else’s perspective, and adjust my own design techniques accordingly. I’ve learned a lot from May, so let’s see what June brings! Thanks, Christopher. I think if you look at the posts over the months, it’s almost like a class in what works in ebook covers. There are some really great covers here, but I’m surprised Joel didn’t call some of them (quite a few, actually) for not being clear enough at thumbnail sizes. How would you like to be a guest judge one month, Maggie? That would be fun. The dove and the barbed wire on Escaping Career Prison shows you are only imprisoned if you allow yourself to be. Great image for the concept, and a huge amount of subtext. Yeah; it’s an image of escape *from* imprisonment rather than just imprisonment, so (unlike Joel) I thought it made perfect sense for the title. I guess there are too many covers submitted to attach links, but I wish you could. I clicked on “We are the Elephants,” but nothing happened. Oh well, I understand. So, I’m off to Amazon now! Thanks for another great month. And yes, in a perfect world we would have links to the books displayed and also links to the designers’ websites, where available. But the truth is this post is quite a bit of work already and when you begin including links you have the overhead of the percentage of links that get broken, aren’t input properly, and so on, so we decided it was just too much work to do it every month. I google the designers and find them without too much trouble, so I hope you find it useful anyway. I like the Fatal Distraction, except at first glance I couldn’t see the truck. When I opened your blog, I scrolled down quickly and didn’t look at the large picture at the top. So when I looked at the cover, I felt the tone of the book, but the yellow is so bright against the black, my eye was drawn only to inside the yellow, and I couldn’t tell what the image was. If the top of the cab was lightened just a bit, I think it would be easier to see. Ann, that’s interesting. The first thing my eye was drawn to was the silhouette of the hand, and that seemed to key the whole scene and tone of the cover. Thanks for your input. Is there a Black and White version of the cover art drawing on “The Bear Marches West?” I’d like to use a small 5 & 1/2″ wide by 6″ tall picture of just the tanks and ground, with just a little skyline (no wording) for the inside of my second book in my “IMMORTAL RELATIONS” series, in the part where China invades Russian, Siberia to capture their large oil fields and mineral deposits. Thanks so much for the very helpful comment, Joel. I really appreciate it! Would love to see the revise if you decide to do it, Nancy. I appreciate your comment on our cover, Joel! Re: the Distant Star cover – You probably made the point before about an eBook cover not needing to follow the Title and Author’s Name placements of mass market paperbacks. But it stuck with me this time around. Thanks! Some great entries and comments, as always. I loved “Going the Half Hog; well deserving of first place. I have to disagree with you on “A Darkened Landscape.” What’s hard to decipher? the text is clear, as is the image. It’s clean, sharp, and effective. Totally agree with you on “Lost In Thought” and “Nothing Too Dangerous” OTOH.